Want to learn more about audio editing? Or how to remove noise? Or want to see a short introduction video? 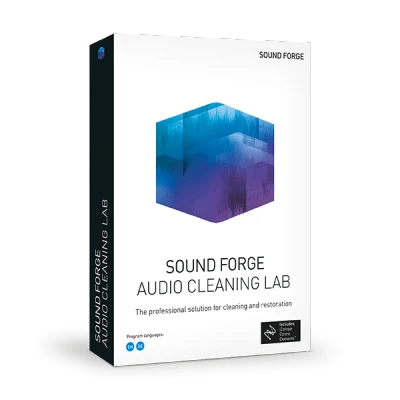 Learn everything you need to know about SOUND FORGE Audio Cleaning Lab. In the "Import" area, you can import your audio material from various sources into the program. Additionally, we explain how to perform your own recordings from vinyls, cassettes, web radio stations or microphones. This video handles the topic of basic edits such as cuts and fades. 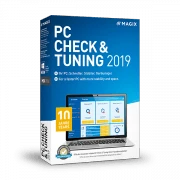 You learn how to mark, delete and sort songs or audio files, how to work with multiple editing tracks and how to create crossfades, for example. The "Cleaning" section is used to remove noise such as crackling, popping and hissing from audio material. A number of special effects are available for this purpose, which we introduce to you here. Once you've removed all noises from your material, you can optimize and make the sound uniform. The "Mastering" section shows the different effects for optimizing sound. Projects with several songs should usually be exported as file lists or burned as audio CDs. The area "Tracks" offers the most important features for this. Here, you can also organize ID3 tags with song and album information. In the "Export" section, you can export your music tracks in standard formats such as WAV, WMA, MP3, FLAC and OGG Vorbis. Alternatively, you can burn an audio or data CD. We'll show you both options. The "Sound Cloner" effect lets you analyze a specific piece of music to generate a sound template which can then be applied to another piece of music. The "DeNoiser" effect allows you to remove disturbing noises from your recordings. You can also extract a noise sample from your recording and use it to remove noise. This video will show you how to connect an audio device, such as a stereo system, to your computer.